Jewel Freeman Herrli of Venice, peacefully passed away Friday, May 11, 2018. 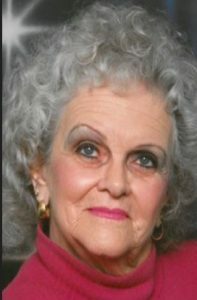 She was born in Tampa on May 5, 1932 and lived there until October, 1951. At that time Jewel moved to Gasparilla Island (Boca Grande) with her newlywed husband, Joe M. Freeman Jr. She would live in Boca Grande for the next 33 years. She loved her life on the island (particularly going to the beach and fishing) and was very active in the community, including the Woman’s Club and PTA (former president). She attended the First Baptist Church where she taught Sunday school, sang in the choir and played the organ. Jewel would hold a number of interesting jobs on the island, but a highlight of her working career that she was immensely proud of was her time spent working (13 years) at the Boca Grande Health Clinic. In 1984, Jewel began a new life in Venice, marrying Glen E. Herrli. She went on to work in the medical field for several more years in the Venice area. Jewel became an active member of St. Marks Episcopal Church in 1984. She continued to be very active in her community, including memberships and officer roles with the Englewood Does, Elk’s Club, VFW, Moose and the American Legion. Jewel is survived by her two sons, Joe M. Freeman, III (Tyra) and Thomas A. Freeman; seven grandchildren; and seven great-grandchildren. Memorial Services will be held at St. Marks Episcopal Church on Saturday, June 16, 2018, at 11 a.m.